Saw Citizen Kane today for the first time in years. I’d forgotten how over the top it is. Some incandescent camerawork, of course. 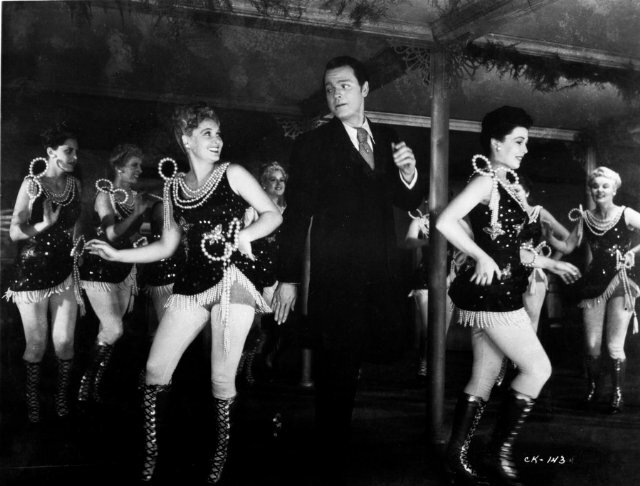 And moviemaking doesn’t get better than the scene where the young Kane jigs around the room with the dancing girls in his newspaper office, a marching band in the background. I hate the expression “old soul,” but wasn’t Orson Welles one? All that good guy/bad guy, progressive/rapacious millionaire stuff really resonated, especially after learning about I.N. Phelps Stokes, who spent his early years reforming tenements by day then going home to sleep in a castle of his own making by night.